What? Again with the Train Stuff? Our third full day in Italy would be a travel day. We had booked a room for three nights at a convent in Rome, hence the ridiculously contrived post title. More on the convent later. The plan was to get to Rome via Florence and check in to the convent, then early the next morning head to Pompeii as a day trip by way of Naples. By the time we arrived in Florence at around 10:30 a.m. or so, I was famished. I’m not a fan of pasta and so my survival in Italy for the most part depended on Trenitalia swag bags, fresh fruit and lukewarm water, broken up by the occasional pizza. On arrival we were off the train and sprinting free from the platform hordes because a McDonalds was in sight. I’m pretty sure I could’ve outrun Seabiscuit just to get a biscuit at this point. Who wouldn’t want to wash their hands with cherubim spittle at this trough in Florence? I ordered my usual McDonalds particle board breakfast of a sausage McMuffin, a hash brown and two milk. One bite of the sausage and I was done. It had mysterious, fluorescent red flecks throughout and the taste was not too familiar. I tossed it out and resigned myself to living on cellulite reserves stored above my left hip from Christmas 2003 for the rest of the morning. It occurred to me much later (like just now) that the taste was none too familiar because it would be Italian sausage and not breakfast sausage as is typical fare in North America. Joanne had a croissant and OJ without incident. Actual useful information: Due to security considerations, there are no lockers in the train stations in Italy, rather a storage service where you can pay to leave your bags and either pick them up or for an additional charge, have them delivered to your train car on departure. With a few hours to kill, we dropped our bags off and found ourselves on a leisurely stroll of the streets and shops of Florence to the Ponte Vecchio and back before catching our train to Rome. The ride to Rome was uneventful as we relaxed and took it all in at 248 kph. We arrived in Rome in the late afternoon and the terminal was about a half mile or so from Casa di Accoglienza Suore di Santa Elisabetta where we’d be staying and shall henceforth be referred to as “the convent.” At the end of the platform was a trattoria with a lovely display of cakes which endeared Rome to me immediately, but of more pressing concern was “il bagno.” It would have to be bathroom before bakery but this was proving difficult to find as we wandered around underground tunnels looking for relief. Eventually that mission was accomplished it seemed a more sound strategy to eat after locating our accommodations in the daylight, rather than traipsing around a foreign city at night. Finding our way from the depths of Roma Termini on to the street, I googled our destination easily on my phone and we set out on our way to the convent about a kilometer away with our backpacks and carrying the duffel bag between us. While Joanne may not be quite as extreme as I in respect to adventure levels on vacation, she does appreciate living a local lifestyle so in respect to accommodations she’s not a typical tourist. In our search for an abode, I had come across a site called Monastery Stays in which one could book a room in one of several monasteries and convents in Italy as well as Europe. Joanne was excited at the prospect so I booked a room for three nights for a total of 320 Euro all in, which seemed reasonable. The reason that we chose the convent we did was it was within walking distance of the train station and it was central to areas we would be visiting in Rome. Emerging from the terminal, the first thing that hit me besides the heat was was a slightly seedy feel to the area, with lots sidewalk stalls, hole in the wall shops and restaurants. I’m sure we were offered three opportunities to purchase selfie sticks before we even crossed the street. In my experience Rome boasts a strong challenge to Manhattan or Los Angeles in terms of street vendor to pedestrian ratios and hold their own in terms of their aggression quotient. Rome mounts another strong challenge in respect to crazy traffic. However, Rome handily beats Manhattan/LA in terms of drivers who are clinically insane. On the 10 point Scale of Clinically Insane Drivers (SCID) I just made up, Rome hits a 43. A traffic semi-circle was the last obstacle on Italian Pedestrian Ninja Warrior, but we made it to the convent intact. Casa di Accoglienza Suore di Santa Elisabetta actually translates as “Home of the Sisters of Saint Elisabeth,” an order begun in the 1850’s in Prussian Silesia to tend to cholera and typhus patients rejected by the hospitals. Fortunately for Jo and I, cholera and typhus are not a concern in Italy today so they now rent rooms. Well, as it turns out, I just checked and typhus may still BE a problem in Italy. Ummmm… apparently right around the time we were there. Empirical evidence would suggest that as Jo and I are past the 2 week incubation period I can state the convent no longer houses typhus patients on the premises. We’re also good to go on cholera too, now that I’ve checked! The entrance to the convent itself was innocuous. A small sally port that could easily be missed from the road. One of the Sisters buzzed us in and the real work of the day began. Communicating. 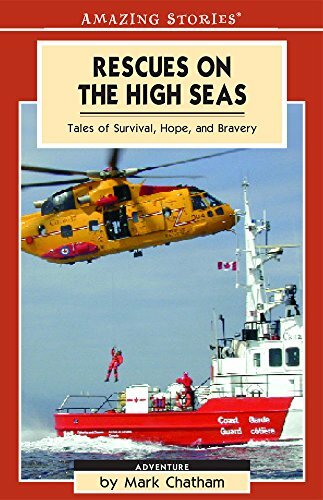 My 30 years in the Coast Guard as a radio operator/radar wonk whose specialty was communicating with people from foreign lands came rushing back and provoked an anxiety attack. Oh yeah, I’m great at communicating with people from foreign lands who speak English, even a minimal kind of English. However, they apparently don’t offer English at the convent as a matter of course. That surprised me, but hey. I’m the foreigner here, so you deal with it and move on. Rather than resorting to pantomine, I handed the sister in her crisp white habit at the desk our confirmation… which was, of course, in English. So I went straight for my phone. Google Translate to the rescue! Not so fast, Bucko. I used the option that magically translates the spoken word with mixed results. It was a cumbersome and clunky means to an end but it provided us with enough help after 20 minutes or so to complete the transaction. We headed to our room, which was on the third floor, but the elevator door to that particular floor was broken so we had to get off on the fourth and head down one floor to our room. The interior of the convent itself contained beautifully marbled hallways covered with lovely artwork. There was a courtyard garden in the back and a rooftop patio which offered a panoramic view of Rome, but the room itself was… well. I now have a more comprehensive idea of what they mean when they talk about monks and nuns living an ascetic lifestyle. The week before a Spartan had booked a room and walked out because it was too sparsely appointed for him. That’s fine, it wasn’t unexpected. What I didn’t expect was the fact there were only two power outlets, one in the room and one in the bathroom that I ‘m sure were installed in 1747 by the Illuminati or Knights Templar or something. I had packed a couple of 220v adapters for Europe but what I didn’t realize was there are a variety of plug types. I’d have to supplement my supply of plugs as well as find a power bar.During the European trip we would encounter Types C, E, F and L type outlets. The room had wi-fi as advertised so we weren’t exactly living in the Renaissance era, but there was a quiet stillness to the room which miraculously filtered out the din of the city below. This had great appeal for Joanne and I found it nice as well. Steve the Translator had arranged for his daughter Flavia to show us some sights after we were back from Pompeii so I called her to let her know we’s arrived safely and ask some question to get oriented. Our mission was twofold. Find a power bar and find sustenance. Venturing into the night, we headed back to the traffic semi-circle and we encountered a couple of tourist shops that also sold Dollar Store items at Sak’s Fifth Avenue markups and succeeded in our first goal. Power bar and plugs, the “Thunderbirds” were go. That accomplished we had a moment to take in our surroundings. The most imposing sight is the Basilica Papale di Santa Maria Maggiore, with it’s spacious piazza which creates the previously mentioned traffic semi-circle. It was imposing in the daylight on our way in, but the lighting took its arresting qualities to another level and we had to stop to just take it in. We don’t have a whole lot of commanding fifth century architecture in North America. Come to think of it, we don’t have a lot of fifth century anything in North America. That being said, my belly was rumbling so we headed back towards the train terminal where we had seen a number of restaurants and settled on the Pizzaria Trattoria… or maybe it was the Trattoria Pizzaria. I ordered the mushroom pizza and it was exceptionally tasty even as I washed it down with water the temperature of newborn baby forumla. In a delightful surprise, there was a Canadian gentleman from Montreal sitting at the next table and we fell easily into conversation. His family was Italian and he returned every other year to get closer to his roots. We finished our meal and wished our adjacent dinner companion well on his journey and headed back to the convent. There’s something exciting on a visceral level about the look and feel of a city at night. There’s kinetic energy, traffic, people, flashing lights, highly energizing and competing for one’s attention. But there’s also potential energy. The pulse of the unknown in shadowy doorways and dark alleys that leaves one slightly unsettled but is accompanied by an almost atvistic thrill. I find this is heightened when traveling abroad. We took our time walking back and settled in for the night. The trip to Pompeii would be the next morning and would provide challenges all its own. Informative and entertaining as usual! Thanks Davilyn! Did you get to Rome when you were in Italy? Have you been to Rome Joyce? Hey Marco Chathamelli Figli! Where are you today? Just sitting at home, confused with all this IT code stuff. D’oh! How bout you Pedro?